When everything we use is networked, we're all going to need more bandwidth. Think about how annoyed you get when you lose your cell signal, and you can see why Intel is pushing for advances in the next generation of networking, also known as 5G. Sure, the company stands to profit from making chips and networking equipment to support faster broadband. Consumers, too, stand to benefit from a future where more things in their lives are connected. To get there, though, we’re all going to need more bandwidth. 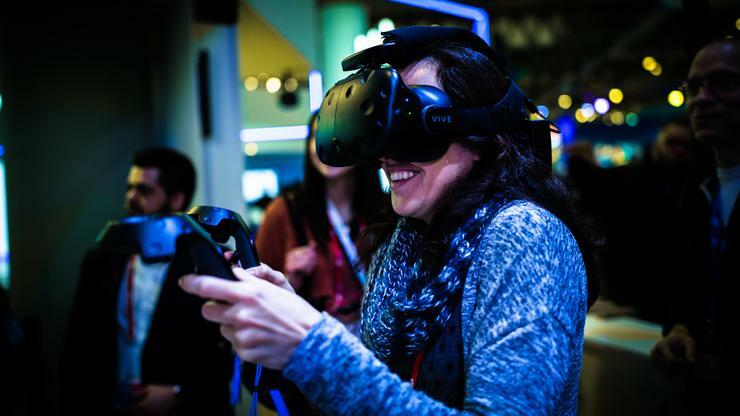 At Mobile World Congress, Intel demonstrated several initiatives for developing 5G capabilities. Watching virtual reality’s often stuttery video can make people queasy, but Intel demonstrated how 5G could let you stream 8K VR content. The company also showed how self-driving cars will need a speedy 5G network to communicate with other cars and infrastructure so they can move safely. Even in a smart home, think of the sheer quantity of things being connected, from TVs and smartphones (plus their streaming content) to window shades and even coffee pots. Multiply this to entire neighborhoods, and you realize that we’ll need 5G, or we’ll all be arguing over who’s hogging the internet. When you think about how close the demos are to reality—how many people already use smart-home technology, how fast self-driving technology is advancing—you can see why Intel’s in such a hurry to make this happen. While full 5G is still some years away, Julie Coppernoll, Intel’s VP of Client Computing, says to keep an eye on 2020 for major developments around the Olympics. That’s feeling very close.